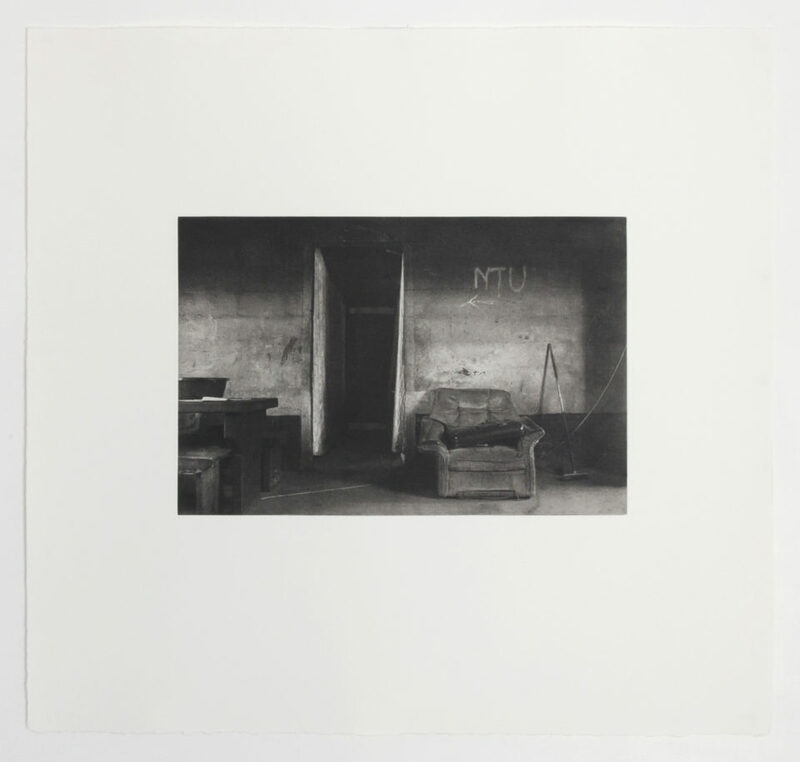 Photogravure, also known as heliogravure, and recently referred to as copperplate photogravure is both an etching and photomechanical technique. The technique combines the details of photography with the dense pigmented inks of etching. The use of pigmented inks and acid free pulp paper makes photogravure the most archival print technique. 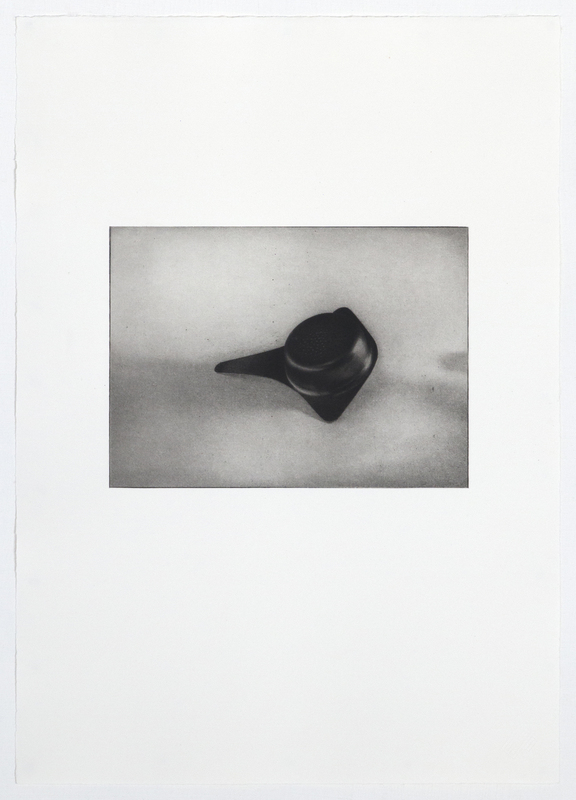 For photogravure, a continuous tone positive is exposed to light-sensitive pigmented gelatin tissue, which afterwards is bonded to a rosin coated copperplate. The very fine rosin grains is the material matter of aquatint, which is key to the tone-based photogravure technique. Aquatint is a way of making tones. 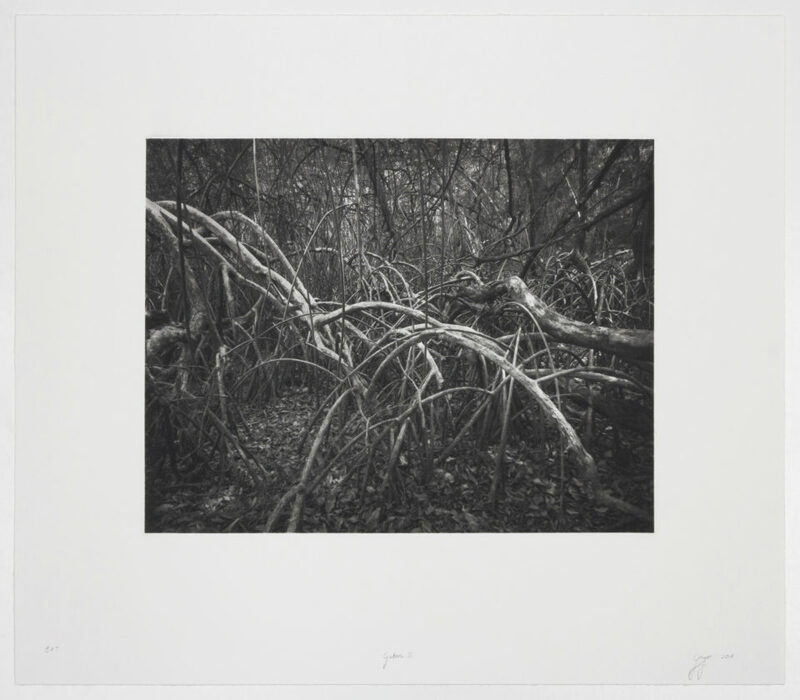 Despite the “aqua” in its title, the aquatint process does not involve water. It was invented in the mid-eighteenth century to simulate watercolour drawings. 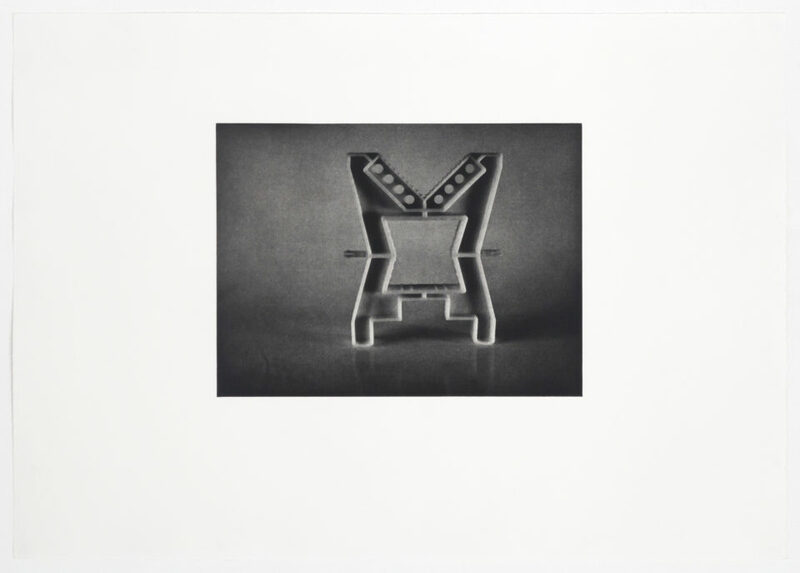 With aquatint one can capture a complete tonal range from a hint of a tone to mid-tones to shadows and darks. 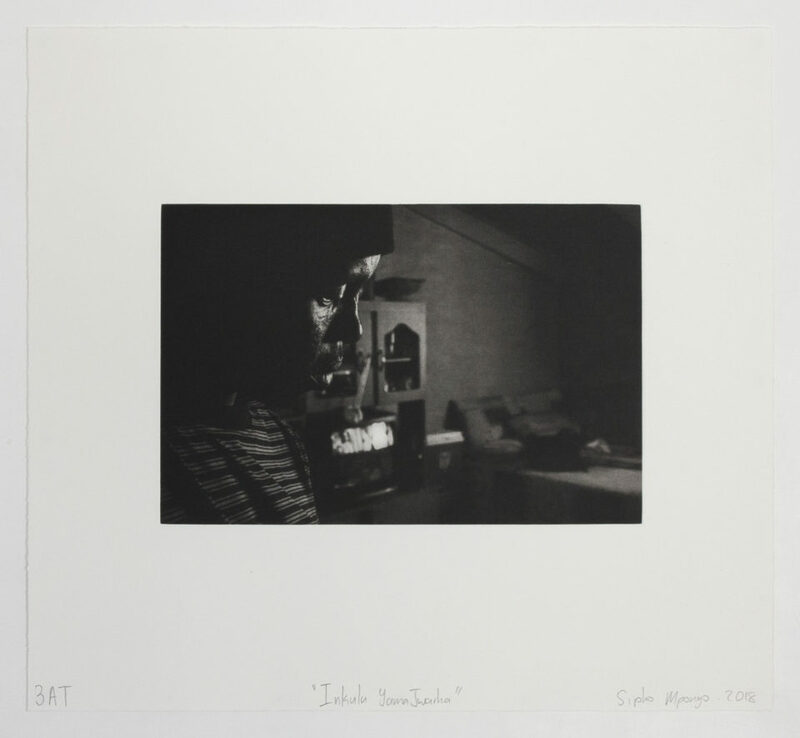 Aquatints can be airy like those in the etchings of Paula Rego to velvety like those in the etchings of Pablo Picasso. 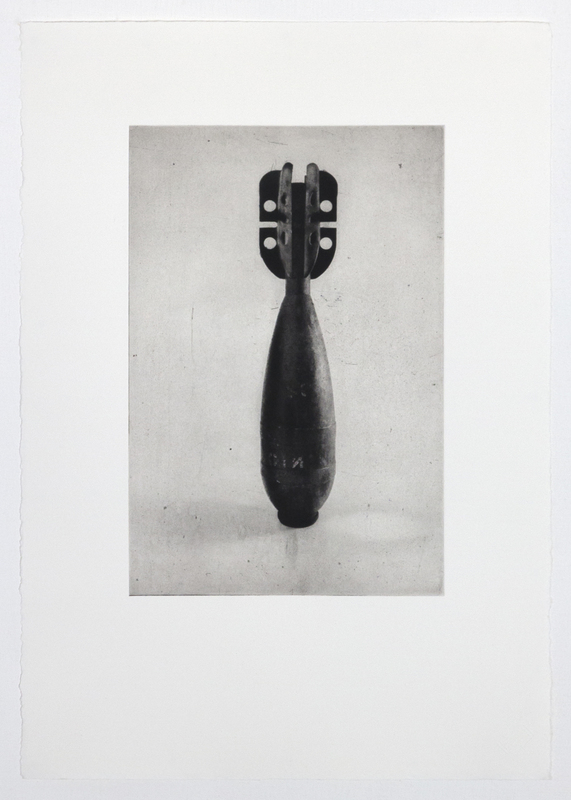 In photogravure, after the gelatin is developed the copperplate, with the image containing gelatin, is etched in baths of ferric chloride of different strengths. The etching commences with the extreme darks, moving through the tones to the lightest tone – pulling the etched copperplate from the ferric chloride once the bite reaches the extreme highlights. Thereby the technique accomplishes a full range of tones and attests for a high quality fine art print. 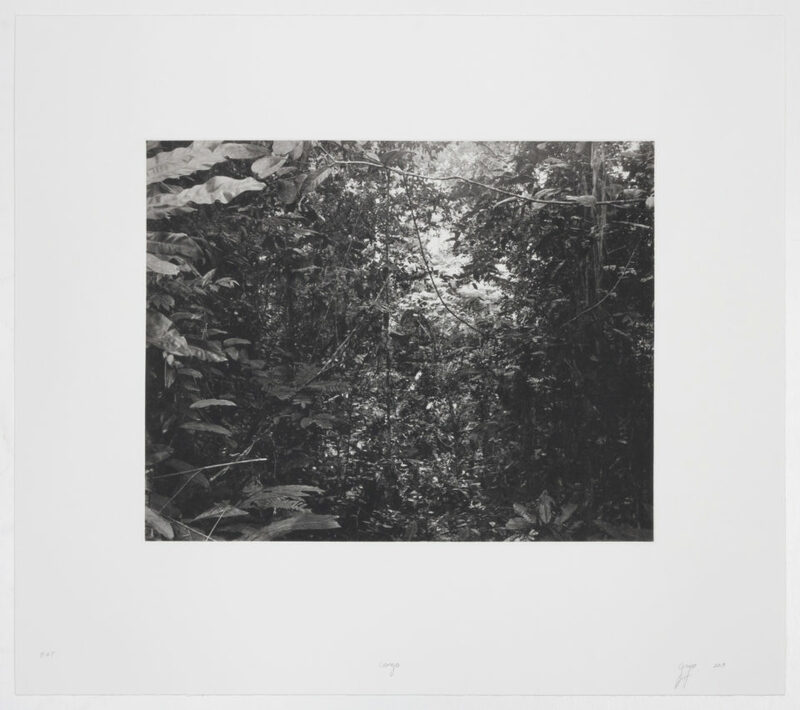 The video has Craig Zammiello, from Two Palms Press, describing the photogravure technique (the video was made by MCA Australia). Featured here are photogravures made at Warren Editions by Zhané Warren and Barbara Madsen.